A fantastic trail along the crest of the remote Warner Mountains, in California’s distant northeast corner. 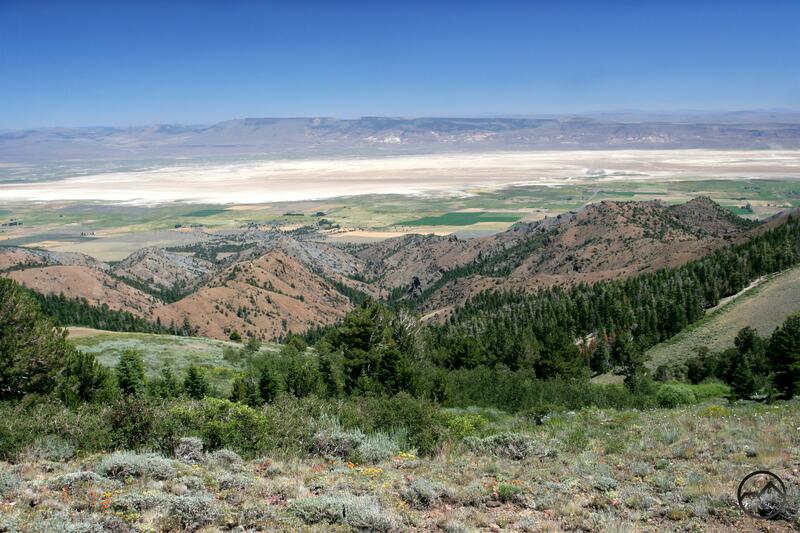 The trail boasts views of much of the northeast corner of the state and takes in significant chunks of Oregon and Nevada as well. After following the crest, the trail passes through meadows and past a small lake en route to Patterson Lake, one of California’s greatest mountain cathedrals. 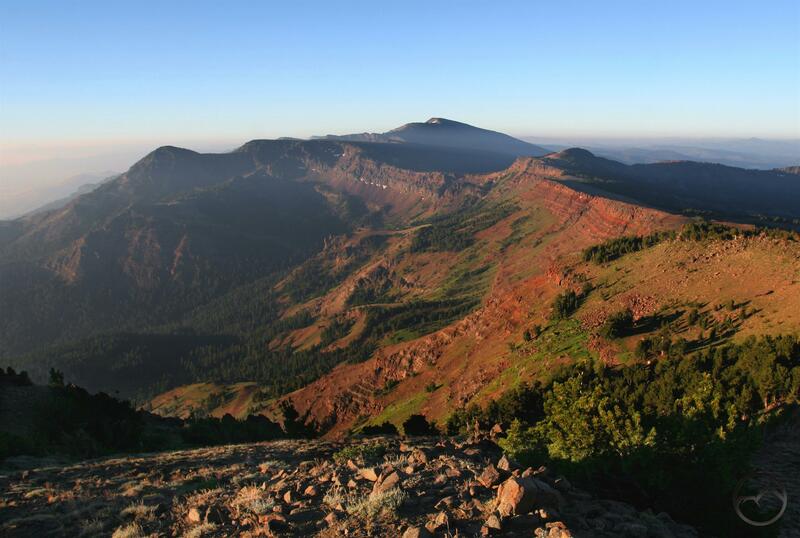 The Warner Mountains offer some of the remotest, most spectacular scenery in California. The range serves up generous helpings of gorgeous mountain vistas that are, while striking, quite unlike anything else found in California. Indeed, the Warners more closely resemblance to ranges in Colorado, Idaho or parts of Nevada. The prospect of unusual terrain, soaring peaks, plunging cliffs, crashing waterfalls, sparkling lakes, fields choked with wildflowers and pervasive groves of quaking aspen is an alluring proposition…if you are willing to make the journey to the remotest part of the state. Located in the far northeast corner of the Golden State, the Warner Mountains are possibly one of the best mountain ranges in California to find solitude. However, as pervasive the sense of forsaken isolation is in these mountains, that is only a bonus to the truly astounding terrain of the range itself. The Warner Mountains boast some of the most spectacular vistas and alpine spectacles found anywhere in California. These attributes come in two forms. First are the amazing views, both from the crest looking down into the vast basins of the range’s east side and the mountain ranges beyond. 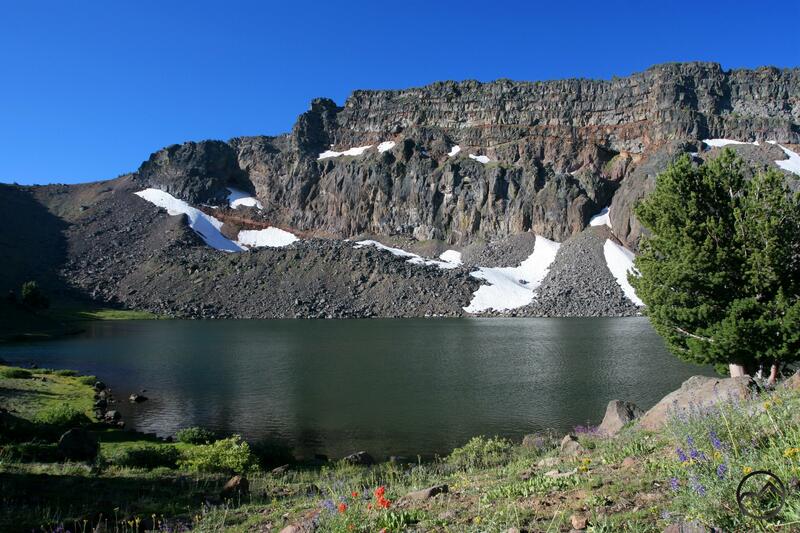 Second, is the range’s few lakes, particularly astounding Patterson Lake. This is one of the great spots in all of Northern California, where all of the best features of the range come together to form an unforgettable mountain paradise. An incredible sunrise over the Warner Mountains. One of the best way to experience all the Warner Mountains have to offer is to combine the Warner Summit trail with Squaw Peak and Owl Creek Trails, forming an epic, 45 mile loop. 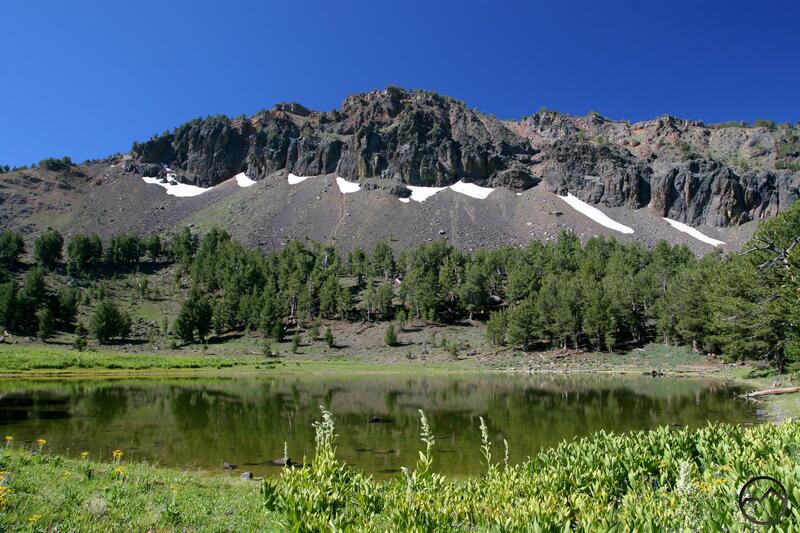 However, if one does not have time to make the entire journey, a trip along the Summit Trail to Patterson Lake and Warren Peak make an excellent introduction to the range. 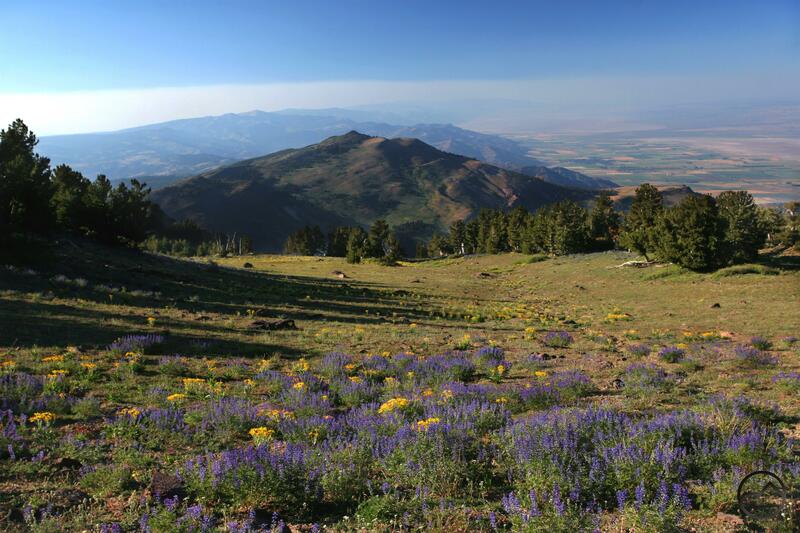 A side trip up Squaw Peak can also be made from this route.The trail climbs through dense forest and high desert to reach the crest of the Warner Mountains. 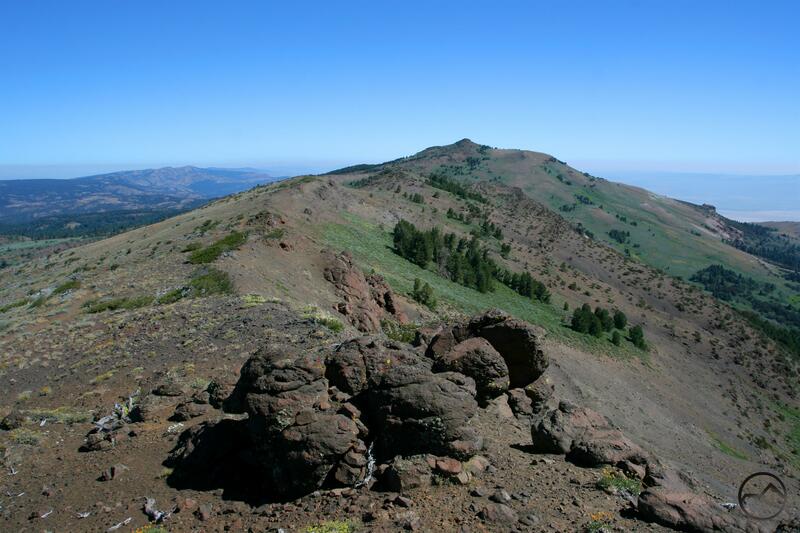 After traveling south along the spine of the Warners, the trail passes knob-like Squaw Peak before climbing back onto the crest. 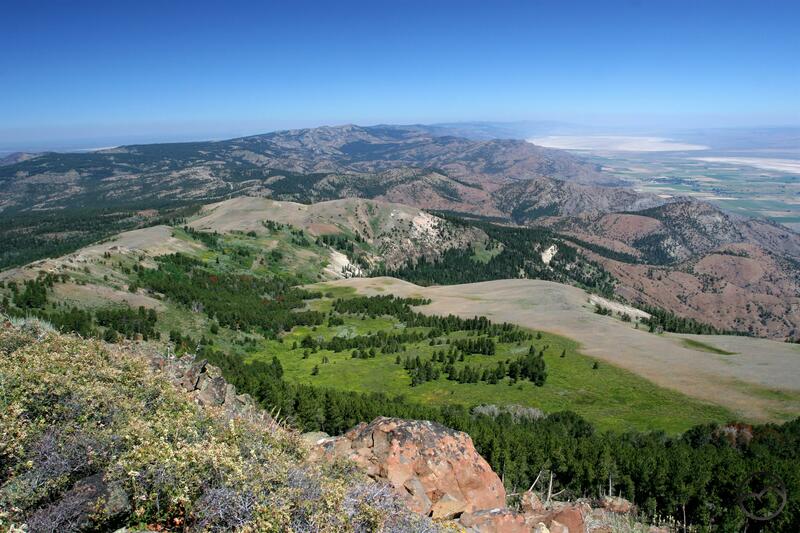 Soon the trail passes through thick groves of whitebark pine and enters large meadows below massive, rocky cliffs. Eventually the trail arrives at tremendous Patterson Lake. 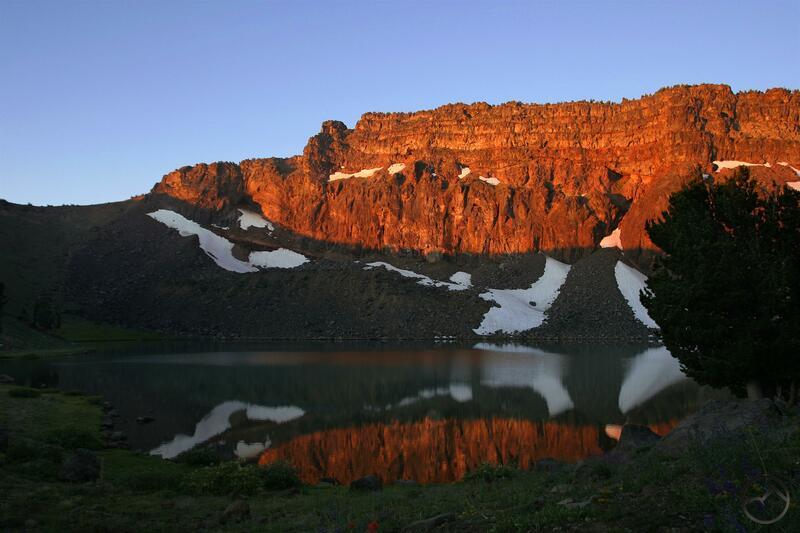 With enormous cliffs towering over the large lake, this is a site of exceptional wonder. Though the trail is not the shortest route to Patterson Lake, it possibly the easier route. The elevation gain is more gradual than the other routes that access Patterson Lake. Looking into the Surprise Valley from the Warner crest. The Summit Trail begins at Pepperdine Camp, which has rudimentary facilities including corrals for horseback riders. The elevation is 6,830 and the forest is typical of the trees of that elevation. Initially the trail climbs through a forest of mixed pine and fir before entering a large clearing. The trail will remain open for most of the rest of the journey, passing through isolated groves periodically. After 0.25 miles, the Summit Trail passes a sign marking the boundary of the South Warner Wilderness. At the boundary the conifers recede and the trail passes through a grove of mountain mahogany. Beyond the wilderness boundary the route continues to climb, passing strange rock formations. The formations are the first indication that Warners are volcanic in origin. The twisted and eroded rock is composed of tufa, hardened volcanic ash that is easily eroded by wind and water. A mile past the wilderness boundary the trail begins to climb more steeply, up a broad grassy slope. 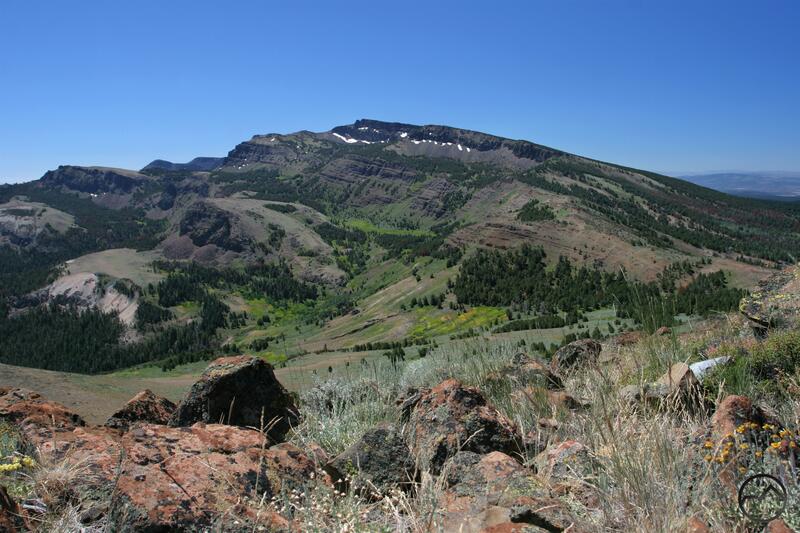 Views of Squaw Peak to the south and the Modoc Plateau to the west are excellent. Another 0.50 miles deposits one on the crest of the Warner Mountains for the first time. Views in all directions are glorious. After hiking 0.25 miles along the crest one reaches the junction with the Squaw Peak Trail. The trail does not actually climb Squaw Peak, instead it rounds the eastern flanks of the mountain, eventually entering the Cottonwood Creek drainage and connecting to the Owl Creek Trail. A steep connector trail links the Squaw Peak Trail to the Summit Trail. If one desired to make a backpacking loop, this would be the point to deviate from the Summit Trail. An excellent campsite in a meadow at the base of a waterfall on Cottonwood Creek provides and excellent campground prior to making the climb to Patterson Lake. Squaw Peak view of Warren Peak and Cottonwood Basin. Continuing south on the Summit Trail, the route travels the undulating crest as it approaches Squaw Peak. A mile past the junction with the Squaw Peak Trail, the Summit Trail climbs a low ridge that runs to the summit of Squaw Peak. If one wants to summit the mountain, this is the place to do it. A large pile of rocks is visible just below the summit. Angle towards this as one climbs and the scramble up the rock pile to the top for excellent 360-degree views. It is a 450 foot climb from the trail to the summit. The view is particularly interesting because it offers a complete view of the rest of the route to Patterson Lake. To the south of Squaw Peak is large, aspen-filled Cottonwood Basin. High above the basin is massive Warren Peak, the second highest summit in the Warner Mountains. Though Patterson Lake itself is not visible from this location, the giant lake’s cirque is easily recognizable. Looking back to the north, toward Squaw Peak. The route to the top of Squaw Peak begins 3 miles from the trailhead. From this point, the Summit Trail continues along the crest of the Warner Mountains. Views continue to be excellent, especially to the east, looking into the Surprise Valley and to the west, where Mt. Shasta looms on the horizon. Lassen Peak, almost 100 miles distant appears to be a small bump on the horizon to the southwest. The crest of the Warner Mountains is strikingly barren. Few plants prosper in the dry, dusty volcanic soil. As hikers continue south along the Warner’s spine, it is amazing how close to the actual crest of the range the trail stays. At times it is easy to look west toward Alturas and see the cone of Mount Shasta far tot he west while, at the same time, looking down to the east and gaze into beautiful Cottonwood Basin and the achingly dry Surprise Valley. Surprisingly, enough water flows off the eastern escarpment of the Warners that farms and a handful of small villages thrive on the edge of the desert. After another 2 miles, the trail reaches the broad base of Warren Peak, although this is difficult to discern from the trail. At the same time the trail reenters tree cover for the first time in miles. The trees, generally whitebark pine, are fairly small due to the proximity to the wind and tremendous snow load. While under the low tree canopy a large series of cliffs had begun to the west. For the first time since the trail first arrived on the range’s central ridge it drops below the crest, paralleling the tall cliffs. Eventually the trail breaks out of the trees and passes into a series of beautiful meadows. In summer the area is filled with wildflowers. Small Cottonwood Lake soon appears alongside the trail. While not as large, deep, or beautiful as Patterson Lake, it is still a lovely spot that is a good place to rest before making the final push to Warren Peak. Indeed, if Patterson Lake did not lie a short distance away, Cottonwood Lake and its surrounding meadow would still make a terrific destination for a hike. One more mile of steady climbing finally deposits hikers the shores of stunning Patterson Lake. Among the highest lakes in the North State at 9,025 feet, Patterson Lake is also among the regions most memorable. The lake is vast, nearly 0.25 miles across with cliffs rising out of the lake, soaring 700 feet above. The summit of Warren Peak is the apex of the highest point along the top of the cliffs, just to the right of a round, rocky pinnacle. There are several good campgrounds around the lake. The best is located on a small knoll near where the trail first encounters the lake. The view of the tremendous peaks and the enormous lake are fantastic from this site and the proximity to the water flowing out of the lake’s outlet adds some excellent atmosphere. There is also a well-established use trail that skirts the lake’s shore on the south side of the outlet. Squaw Peak from the climb above Patterson Lake. Even though Patterson Lake is an incredible destination, the Summit Trail is not finished with all that is has to offer. One final vista of immense proportion demands to be seen. Just above the lake, it is convenient to get to from campsites along the lake. To get there, the Summit Trail continues along the lake, crossing over the small outlet stream. It begins climbing again, reaching Patterson Saddle at 9,365 feet. As hikers climb, there is a great view of Patterson Lake and nearby Squaw Peak. Finally the trail levels off near some unusual tuff rock formations. This pass is as far as hikers need to go. The views to the south are astonishing. Eagle Peak, the highest point in the Warner Mountains can be seen floating in the distance, high above the Owl Creek drainage. The Warner crest drops away in a series of scalloping cliffs extending to the south. Dusenberry Peak is visible at the southern end of the drainage. Continue a few hundred yards along the Summit Trail before turning to the west. There is no trail to the summit of Warren Peak, but it is not difficult to pick a route through the stunted lodgepole pines. Try to stay level for a hundred yards or more before starting to climb up the steep, loose slope. Beginning to climb too early will deposit one on a shoulder about 100 feet below the actual summit. When descending Warren Peak, this makes a handy off trail route to climb down to Patterson Lake.A band of small cliffs extend from below the summit to the west. The route to the summit angles above these cliffs, which can be avoided if one stays on or just below the ridge leading to the summit. Looking north from the summit of Squaw Peak. From the junction of Highway 299 and Highway 395 in Alturas, head south on Highway 395. At the south end of downtown, turn left (east) on County Road 56, which is also named E. McDowell. The road winds for several miles, climbing up to a levee and passing a reservation casino before dropping into a shallow canyon. Views of the west slope of the Warners are excellent. Eagle, Warren and Squaw Peaks are prominently visible. Eventually the road enters Modoc National Forest and becomes Forest Road 31. Although the pavement ends the road is in excellent condition and is passable by sedans. After climbing a few more miles through the forest turn right onto Forest Road 42N79. Look for signs marking Pepperdine Camp. Do not turn left to go to the horse camp but continue straight a short distance to the parking lot at the marked trailhead. Wow, this is a really nice-looking possibility! I have to admit that the Warner Mountains were completely off my radar as a potential destination. It looks like with the elevation and climate they have that maybe the season is a bit longer than for some of the other mountains hikes in the area? Do you have any other Warner Mountain hikes that you’ll be adding still? The Warners really are fantastic. They certainly are one of my favorite mountain ranges. In answer to your questions, the season in the Warners can vary quite a bit, but I have taken trips there into November, though that would obviously not be the case every year. I should say that the range is past its prime about midway through October when the meadows are dry, the lakes lower and the aspens have lost their leaves. Still, the mountains themselves continue to be amazing. As far as more trail descriptions on my site, I have four more to add to the Warners right now and I hope to add a couple more next year. 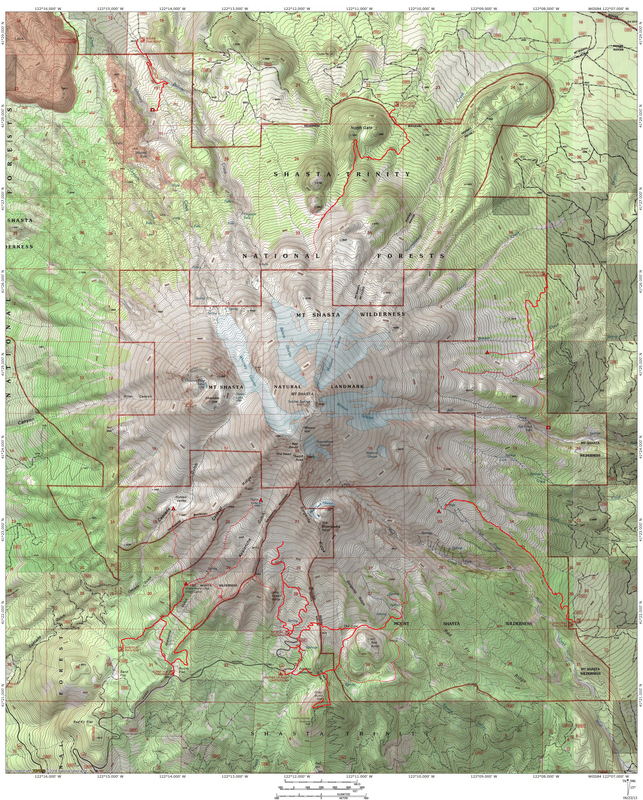 There aren’t that many trails over all, but the Summit Trail Loop is a spectacular 40 mile loop. For what it is worth, I will be putting up another awesome trail that accesses Patterson Lake in the next few days. Thanks, can’t wait to see it. One of the reasons I love reading your blogs, in addition to the great (and useful) detail, is the fact that you have really great pictures. Do you lug a tripod along with you, or are you just pretty steady?